Can you thank everyone who wished you a Facebook Happy Birthday? It happens to you. Your birthday rolls around and your Facebook friends bombard your wall with hundreds of “Happy Birthday” messages. Some are deep and heartfelt. Others are simple and to the point (“HB2U”). Some come from best friends you talk to every day. Other messages come from people you still haven’t figured out who they are. 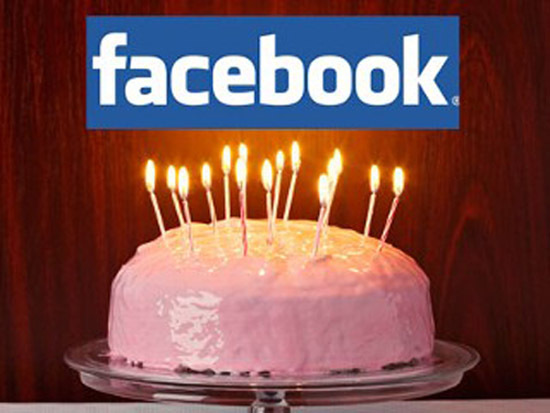 The first birthday year on Facebook, you probably tried to acknowledge and thank each person. And you probably failed. It didn’t take long for you to assume the role of post game MVP, and realize that an “I feel humbled. Thank you everyone for the birthday wishes,” message to all is the best way to go. Well, it’s time to throw back the clock. I am challenging everyone moving forward to be more personable on Facebook for your birthday. Both to test your patience, and to also make sure the birthday wishes keep coming in the future. In a few years, you might just miss those kind comments. I must acknowledge each and every Happy Birthday message: This became more challenging as the messages continued during my Thanking. As soon as I received a real-time notification in the bottom left corner, I had to click and open new browser, make a quick comment, then revert back to the previous plan. No deleting of my messages, unless blatantly screwed up (wrong name, typo that resulted in a curse word, etc. ): This was easier than I thought it would be. But in hindsight, how hard is it to just retype variations of “Thank You”? Personalized acknowledgments: Each message I wrote had to be somehow customized for that person. I began to realize that the only real way to efficiently customize was to mimic their punctuation (If they used an exclamation point, I did too. If they didn’t capitalize, neither did I). Matched Effort: I had to put in equal amount of work as the Birthday-Wisher did. That means if they wrote two sentences with a question, then I had to answer the question and reply with at least two sentences. I also, though, was able to get away with a simple, uncapitalized “thank you” plenty of times. Simultaneous Blogging: I had to write this blog post simultaneously, as ideas popped up. I judged myself on accuracy, timing, and value. Basically, Return On Investment (ROI). The result: Although I was skeptical, It might actually be worth the time. The good: Throughout this experiment I was reminded me of many tangent to-dos like scheduling dinner with friends, following up on a few emails, drafting LinkedIn recommendations to past co-workers and friends, and more. I also got caught up on a few people’s lives, and caught them up on mine. I also got another blog post out of it all. Finally, it gave me continued insight into what it takes to manage an online social presence, and can be used as a case in point when speaking with those businesses still new to the online world. The bad: Mainly the time it took. It was about an hour and 15 minutes, including all the added follow-ups and writing of this blog post that you’re reading now. There are obviously a lot of tasks and other conversations a budding entrepreneur could get done in 75 minutes (but “networking” is arguably one of those top tasks anyway). TBD: This might actually be today’s equivalent of sorting through the Rolodex and randomly calling contacts just to say “Hi”–a tactic historically used by traditional salespeople just to keep in touch with their contacts and remind them of what the salesperson is up to (e.g. new company, new pitch, new technology). We will see if a few marketing consulting or Joplin Expats ideas and projects come out of this, or if some great personal relationships grow even stronger. It was definitely a worthwhile experiment. When’s your birthday?